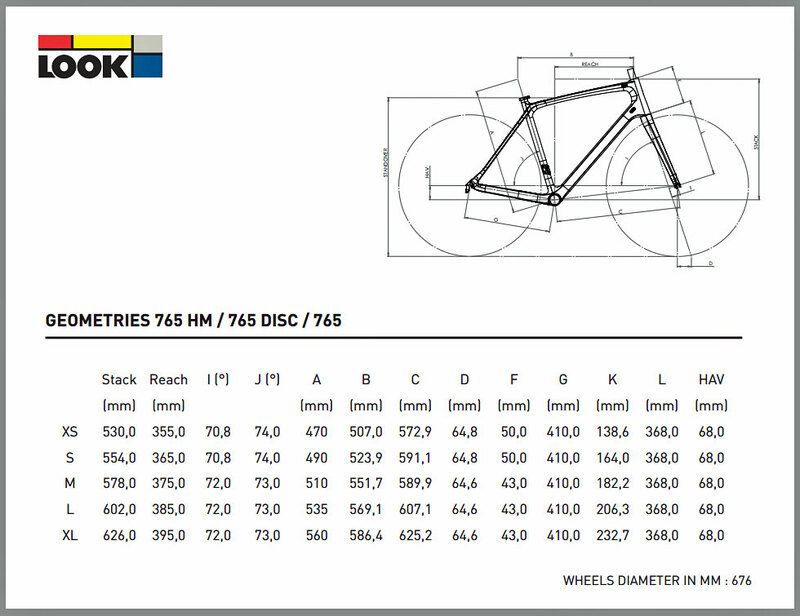 Look 765 105 Road Bike - 2017 is no longer available at Merlin Cycles. However you may find an alternative or updated product below. This item was discontinued 12th March 2019. The Look 765 105 Road Bike has been designed as an endurance racing, long-distance road bike with a comfortable geometry and carefully engineered carbon frame and forks for long hours in the saddle. Riding fast tight downhills the handling of the 765 is predictable and confidence inspiring even on rougher, more unpredictable roads and with its lightweight construction and stiff bottom bracket this bike accelerates well and climbs with ease. With a precise shifting Shimano 105 11 speed groupset and a durable but lightweight Shimano RS10 wheelset the Look 765 is built ready to ride and race, taking your road cycling to the next level. Great bike for the price. Before I ordered this road bike, I was hesitating due to the possible complications of oversea purchase. I didn't know about the VAT and duty tax, uncertain about the quality of the bike, how long it takes to deliver the bike, and how to return it if there was an issue. After many researches, I finally decided to give it a shot and ordered it. It's quite a surprise. My bike was delivered within 3 days. 3 days! That's really really fast. My friend ordered a bike from a local shop in the US and it took almost 2 weeks before he received his bike. The package came in with a minor damage on the box, but everything inside is nice and neat. The quality of the bike is as good as it should be. The bike also came with a basic headlight, back light, and bike bell. These complimentary accessories are OK, but I don't find them useful. The best thing is the bike came in well-tuned and ready to go. Everything is working fine. All the brakes are working, the shifters are tuned, and I can shift to any gear without problems. So far, I have ridden about 30-40 miles on the bike, and there's not a single problem. This bike is comfortable and easy to ride and good to look at. The only concern I have now is where to ride next.